An Age of License by Lucy Knisley is another graphic memoir of a young artist who has a compulsion to draw those around her, no matter how creepy that may appear in a crowded restaurant. These graphic memoirs are a great way to quickly get a look inside someone’s life, their fears, and their happy moments without feeling like you’re prying. 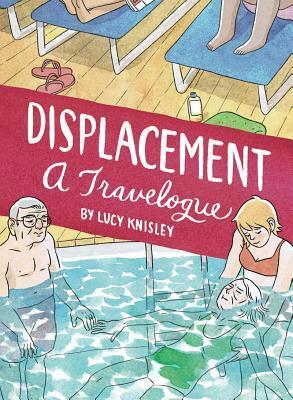 The comics provide just the right amount of distance to the narrative, and Knisley’s style is very conversational and intimate, but there are moments she keeps to herself — that’s ok too. Knisley is someone many of us were in our twenties — adventurous in spite of the anxiety — beginning the lives we’ll lead into the future either alone or with a family of our own. We explore; we get to know who we are as people; what we’re looking for; and sometimes finding things we didn’t know we wanted. While we often find that we are jealous of our friends who find themselves, their callings, or the families they desire before we do, we still love them and hope that we’ll find those things too. Knisley’s graphic memoirs seem to be written as she goes along, but it is clear that more thought goes on and further work takes place after her adventures are done. These memoirs have their own conversational quality and she clearly digs deep into her experiences. 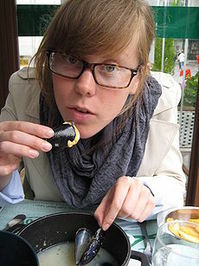 In this memoir she takes a trip to Norway for a comics convention, which turns into a whirlwind of visits in other countries throughout Europe — Germany, France, and Sweden. She questions the direction of her life and career, she questions her inability to find stability in relationships, but most of all, she questions her perspective, which comes from a relative place of privilege compared to others. 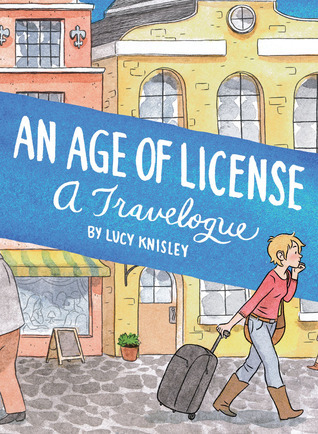 An Age of License by Lucy Knisley is a realistic look at traveling abroad as someone who does not know a language other than English, and who is still struggling to find her place and become grounded. It is often good to get away from the daily grind to think about life as it is and determine if that’s what you want it to be for the rest of your life, and Knisley asks and somewhat answers these questions for herself. One point in the memoir was a bit ironic in that lovers go to Paris, engrave their names on locks, and add those locks to a bridge as a sign of undying devotion, only for those locks to be eventually torn off by authorities and thrown away. Even those things that we find permanent may not be. What’s fresh about this book is that it includes recipes along with the memories and some of them should be just as delicious as the author remembers if prepared using her precise instructions, which do include the use of patience! 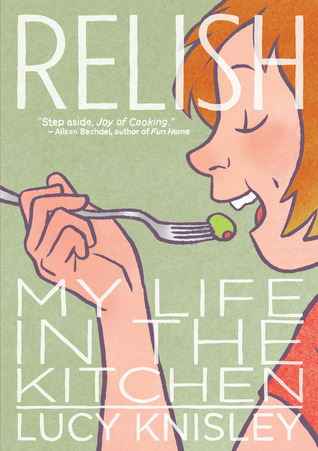 In graphic novel style, the images are fun and the memories are dispersed in a way that makes reading a memoir about food even more fun. It even seems as though it is geared in a way that will entice younger readers to get interested in food and cooking. 78th book for 2014 New Author Reading Challenge.